If you are suffering from gum disease or are worried about the health of your teeth, you may have wondered which type of toothbrush is best for you, and whether an electric toothbrush or a standard one is best. Unfortunately, when it comes to brushing your teeth, there is no one ‘best toothbrush’, anymore than there is one ‘best technique for brushing your teeth’ to prevent gum disease. Your dental health is unique to you. Every dental record, apart from being unique in its own right, comes attached to a human being, unique in their own right, with an additional set of issues and preferences. However, this article will attempt to give you some of the pros and cons of electric toothbrushes vs standard ones, to help you make your decision. Looking after our teeth is about so much more than keeping them looking as white as possible, and for that reason we need the best tools for the job. Unfortunately, the health of our teeth is something we often tend to overlook until it is too late. Providing that our teeth aren’t black and rotten, so long as they don’t cause us any discomfort then we tend to simply go about our days as normal, assuming our teeth and gums are fine. Unfortunately, when it comes to healthy teeth and gums, nothing could be further from the truth. Gum disease has been dubbed ‘The Silent Killer’, as apart from a few minor symptoms, such as bleeding or receding gums, or bad breath, there may be absolutely no other signs until it is too late. Preventing gum disease by looking after our teeth and gums however, is vital as it could save us from suffering from a number of more serious health-related conditions later in life, including heart disease and diabetes. Some people recommend electric toothbrushes whilst other swear by standard toothbrushes, so who do you believe? 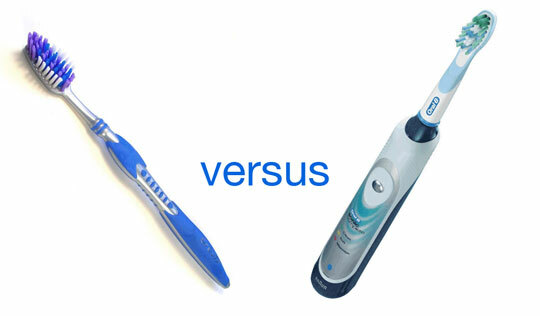 Well, to help weigh up the pros and cons of both, here’s a look at electric toothbrushes VS standard toothbrushes. Electric toothbrushes – Over the years, there has been more and more evidence to suggest that electric toothbrushes could be more beneficial than manual standard toothbrushes, though some dental hygienists do tend to disagree. Never the less, electric toothbrushes do have their benefits, which we’ll be looking at now. They provide more strokes per minute – One of the main benefits of electric toothbrushes is the fact that they are able to provide so many more strokes per minute than a standard toothbrush. This means they move so quickly that it creates a sort of polishing effect, helping to rid the teeth of any debris. They prevent you from brushing too hard – When using a standard toothbrush people often find themselves brushing too hard, which can then damage the gums and cause them to bleed. Electric toothbrushes do all of the work for you, you simply guide it along gently with your hand. They’re easier on the wrist – For elderly people or people suffering with dexterity issues, electric toothbrushes are far easier because they have bigger handles that are easier to grip onto, and they do all of the work for you. They do require electricity – At the risk of stating the obvious, electric toothbrushes do require electricity in order for them to function. They require the power to charge the battery, so if you have a loss of power, or simply don’t have access to electricity, a camping trip perhaps, then you’d be better off with a manual toothbrush – or at least hold one with a back-up. They need to be charged – Another potential downside is that they need to be charged regularly in order for them to function. If you forget to put it on charge for example, it could be quite frustrating when you do go to brush your teeth and find the battery flat. Standard toothbrush – Some people still swear by standard toothbrushes so here is a look at a few pros and cons to help make up your mind. They always work – The great thing about standard toothbrushes is that they will always work as they don’t require a power source, making them ideal for overnight trips. They’re cheaper – Another benefit is the fact that they’re cheaper than electric toothbrushes, both in price and when you consider the energy required to charge and power the toothbrush too. Require more work – In order for you to do a good job with a manual toothbrush, you will have to work harder and brush for longer, which can take up valuable time. Not always as effective – Some electric toothbrushes are simply more effective than standard toothbrushes, and there’s no getting around that fact, the only problem is knowing which one to choose. How to find the best toothbrush – As stated at the beginning of the article, the idea that ‘one toothbrush fits all’ is as preposterous as the idea that ‘one size fits all’ in anything. We are all individuals, and each of us has a unique set of teeth with a unique set of dental issues – see my article on “The Best Way to Brush Your Teeth to Prevent Gum Disease”, to find out more around the issue of how best to brush your teeth to prevent gum disease. To find the best toothbrush for you, you must consider numerous facts such as whether you already suffer from gum disease, what your symptoms are, what you need the brush for, do you need a toothbrush that is easy on your joints, and above all else, you should ask a dental expert for recommendations. Above all, please remember, bleeding gums, receding gums, wobbly teeth, bad breath or bad taste in the mouth, may all be symptoms of periodontal disease, not just the result of bad brushing techniques. If you are concerned about the overall health of your teeth, please contact me here. 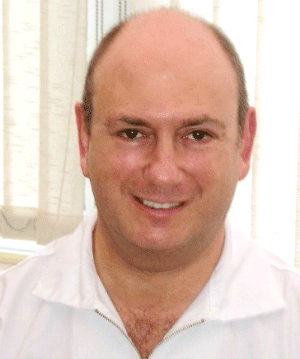 You don’t need a referral from your regular dentist in order to see a specialist periodontist. I may be able to help you more quickly and affordably than you thought! You can contact me here. Yes, you are quite right because if you allow Clark to Boulder around the delicate gum margins you will almost certainly suffer from ongoing gum disease and further recession. So please make sure that you get this done, but I would have thought that it should have been done during your 4 sessions of treatment rather than as an extra afterwards. Previous Previous post: Halitosis, also known as bad breath – What are the causes and how is it treated? Next Next post: Gum Disease Threat ‘inflated to sell mouthwash’?